Autonomeal is Smart Food Assistant that helps elderly with both – to stay autonomous and to keep track on their food inventory. It makes it easy for them to do shopping and plan their diet. The concept is based around a tablet app that connects users with their smart fridge. 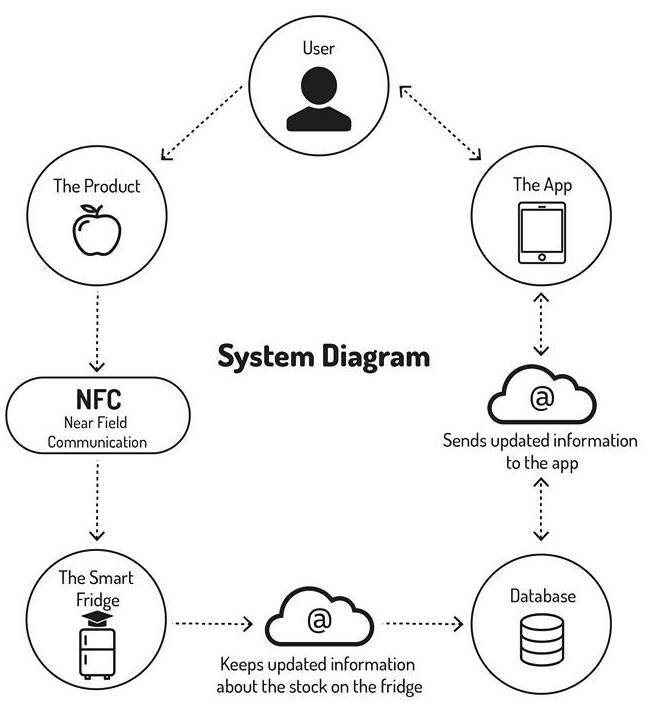 Through the sensors in the fridge, the app registers all the food that has been inserted into the fridge and makes the data available for users. Not only that the users know what they have in the fridge without going to the kitchen and opening the fridge, they can also check the expiration date, read product ingredients, check for allergens, and browse recipes suggested according to food they have at home. The app also makes it easy to create shopping lists and order food on-line. 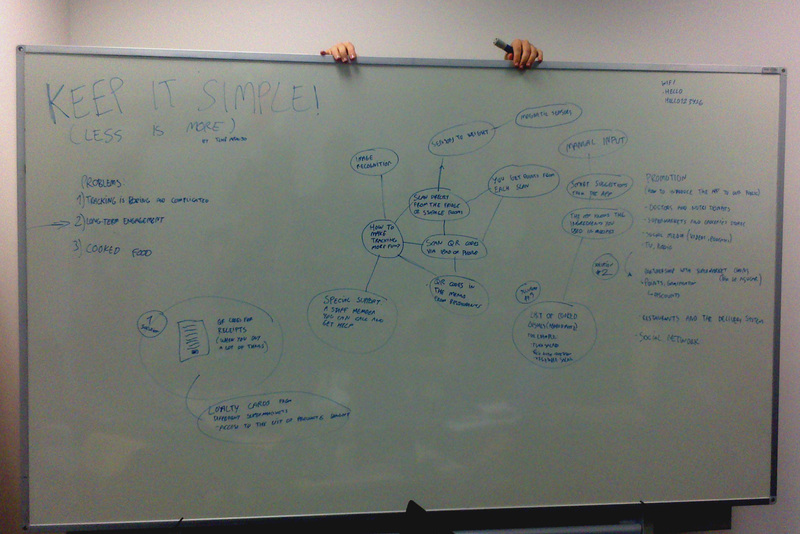 Before starting anything, we spent a lot of time brainstorming and discussing ideas for our digital design. After that, we created an on-line survey to get some input form our target group (elderly people between 60 and 85 years). 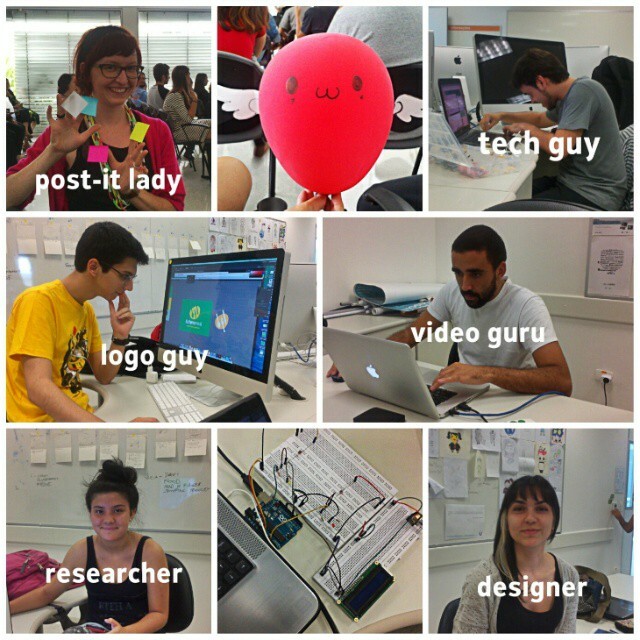 We got a great feedback from them which motivated us to dig into wireframing and prototyping! 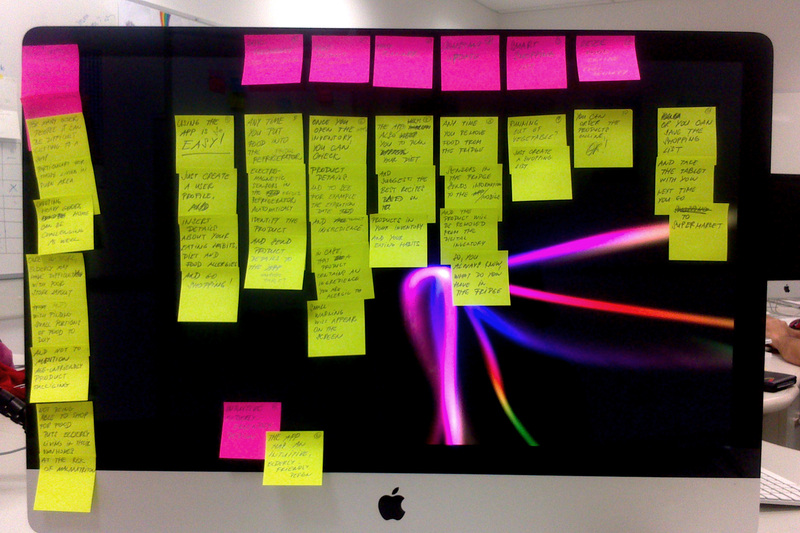 After brainstorming and throwing away a bunch of approaches, we decided on the structure of the app. Our designers moved onto making high fidelity wireframes and our tech guy started to build a physical prototype of our smart system using lot of cables, a digital display, some light sensors, and probably some other geeky things. In the mean time, I was researching how older people use digital technology. Following some recommendation on elderly-friendly design I looked up, we were able to implement some improvements on the look and feel of the app, such as simplified interface, bigger font, larger buttons etc. The last step of the project was to make a video teaser presenting the conceptual idea. My new task was to prepare a storyboard. The biggest challenge for me was to communicate the complexity of our concept in a simple way. After couple of hours private brainstorming and sorting ideas, the storyboard was born and we made the video! And you can see the result at the top of this page!